MEG OKURA AND THE PAN ASIAN CHAMBER JAZZ ENSEMBLE at Dizzy’s Club Coca-Cola (Aug. 20, 7:30 and 9:30 p.m.). 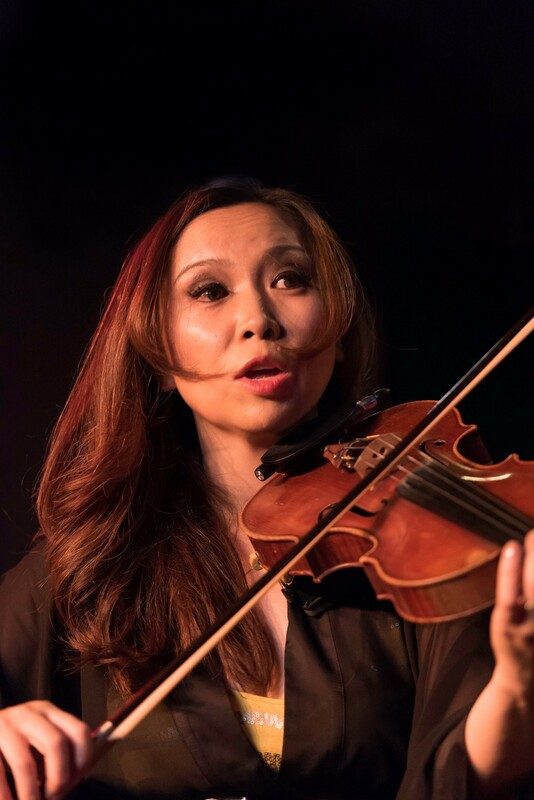 “Ima Ima” is the new album from this impressive violinist and bandleader, and her fourth with the Pan Asian Chamber Jazz Ensemble. It’s a record of grandiloquent beauty that transitions easily from grooves to big cascades to buoyant swing. She composed it with syncretism in mind: Ima means “new” in Japanese and “mom” in Hebrew, the language of Ms. Okura’s recently adopted Jewish faith. Here she is joined by her 10-piece ensemble, which includes the eminent trumpeter Tom Harrell, a featured guest on the album as well as at the show.